Worldview Space for London Entrepreneurs! Worldview Space is close to the River Thames, just 3 mins walk from the south side of Tower Bridge and 7 mins walk from London Bridge located in a beautiful warehouse conversion with original features, wooden beams, exposed brick and amazing natural light. Worldview Space provides its members with furniture, shelving, all bills, good heating, regular cleaning, high speed internet, phone, powerpoint presentation facility and 24 hour access. It has good meeting facilities, roof terrace, fully equipped kitchen and bathroom. 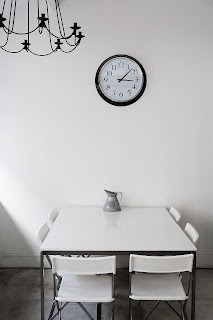 So if you are looking for a desk to run your project on a daily, weekly, monthly or yearly basis or know of anyone who might need a desk then please let us know. If you want to join Worldview Space please call 07899897823 or email b.lyngdoh@worldviewimpact.com to set a viewing date! Launch of Worldview Space on May Day 2009! I want to share an exciting new project with all of you called "Worldview Space" which we will launch on 1st May 2009. Worldview Space will provide Social and Environmental Entrepreneurs with their own command and control center in the heart of London where they can launch and manage their own operations and projects locally in London or nationally in the UK or internationally in other countries. If this sustainable model of office space sharing takes off here in London, then we will introduce Worldview Spaces in other countries where we have projects running. 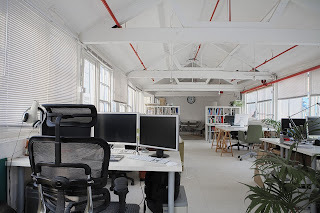 Worldview Space is close to the River Thames, just 3 mins walk from the south side of Tower Bridge and 7 mins walk from London Bridge located in a beautiful warehouse conversion with original features, wooden beams, exposed brick and amazing natural light. Worldview Space will provide its members with furniture, shelving, all bills, good heating, regular cleaning, high speed internet, phone, powerpoint presentation facility and 24 hour access. It has good meeting facilities, roof terrace, fully equipped kitchen and bathroom. 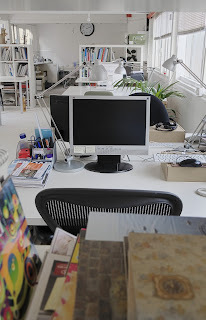 So if you are looking for a desk to run your project on a monthly or yearly basis or know of anyone who might need a desk then please let us know. Worldview Space will be launched on May Day 2009 and since it is a project of Worldview Impact we invite all our members in London to come by at 7.00pm GMT on the 1st of May to our launch pad and meet our global team on the 3rd Floor of 1 Pope Street London SE1 3PR. 1. Protecting the environment and biodiversity through the mitigation of climate change through rubber plantation, water and clean energy harvesting projects. 2. Enabling local economic growth through the creation of sustainable livelihoods and green jobs for the poor people in our pilot countries via our projects. 3. Supporting social development through poverty reduction initiatives and providing skills building and training for rural youth in our pilot countries. 4. Promoting conflict resolution through the creation of safe, respectful and sustainable working environments for parties in conflict to live in harmony. 5. Supporting public health through the manufacturing of carbon free organic contraceptives and surgical gloves for disease prevention. After the launch you are all invited to refill your tanks with rocket fuel by joining us at the Woolwich Bar across the road for a pine of sustainable organic beer. 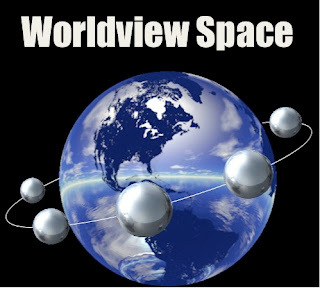 I hope to see some you who are based in London at our Worldview Space launch on May Day 2009! I am a dreamer and I agree with Eleanor Roosevelt that the future belongs to those who believe in the beauty of their dreams!